Yes you heard me right! It is finally here after a long wait and what everone has been waiting for! Alot of time, Blood & Sweat have gone into this update! So Check it out now. Over the next coming weeks, There will be more "Smaller" Updates but still just as big in the term of features and things to do! Keep hold of your hats! Giving old ranks has now expired. As you might or might not be aware, when we opened CraftOfClans, We happyily gave the cost equivalent of their old ranks back and we have been doing so when someone has created a store support ticket. 1 Year on, We think its enough time to give for players to make a support ticket to claim their old ranks back. So from now, we wont be giving old ranks back. You might say thats unfair, But in all honestly its not, players have had over 1 years to claim their old ranks back and some to make a support ticket. Why are we just putting this in place now? Well We are only doing it now as we wanted to give players enough time to come on and claim it back, most servers dont even give old ranks and items back when they have a reset... Its very rare if they do, but we did and we think we have been nothing more then generous in allowing 1 year to do so. CraftofClans Economy Reset! Major Updates! Hey everybody! This is a quick post to inform you we are going our next Economy / Map reset on the night of the 2nd of January 2018! We generally do these wipes every 8 months or so to keep the economy fresh and let new players have a chance to catch up ! Content Updates: Along with this reset we will be systematically releasing some content updates throughout the month of January that you should be very excited for! Donor Information: If you have donated recently and are worried about lost gems, do not worry! We will be re-sending all the donor gem / gold / elixir commands right after the reset so you will have a fresh pack of them waiting for you upon arrival! More update to do with our exciting major updates will be made in a follow up post after the reset has taken place! Enjoy guys! 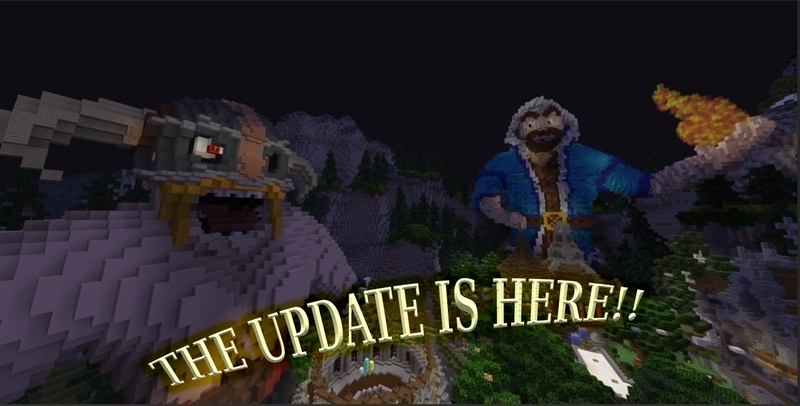 We just released a new Christmas update on our server. The Christmas Capital also arrived today! You thought that this was everything for the Christmas update ? You're wrong , more will come! Enjoy the Christmas update ! 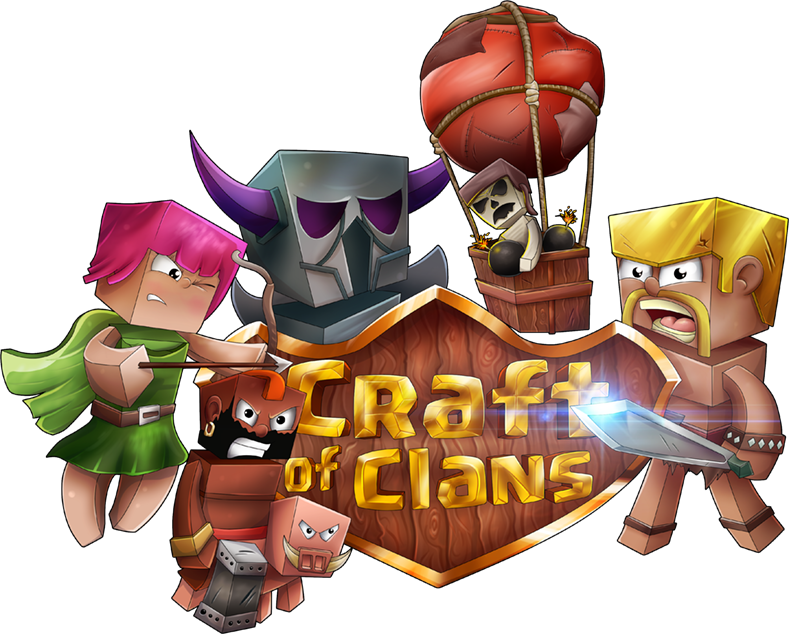 Ps.We also fixed a lot of bugs , if you still find some bugs make sure to report them here: http://www.craftofclans.net/forum/index.php?forums/bug-reports.80/ . Hi Guys! Right now we have a 35% sale all throughout Halloween! You basically screamed for a sale in the shop and we heard you. Make sure you check it out and during this sale you will receive tricky treats from every gempouch and the amount depends on the size of the pouch. Tricky treats you can trade in the tricky vendor in spawn in front of the shop. We just released a new update on our server. We have a sPoOkY new hub and some extra new gadgets from rewards. You're now able to get candy pumpkins from raids/killing mobs and from crates. When you kill the guardian while you are raiding someone you will receive some candies ,with those candies you can buy some crazy armor and items. Some of the rewards include costume items that disguise you (zombie, skeleton, witch, and many others), special pumpkin armor, an elytra, a black cat pet/sidekick, and more. Enjoy this sPoOkY update ! Preparations for the next big update!